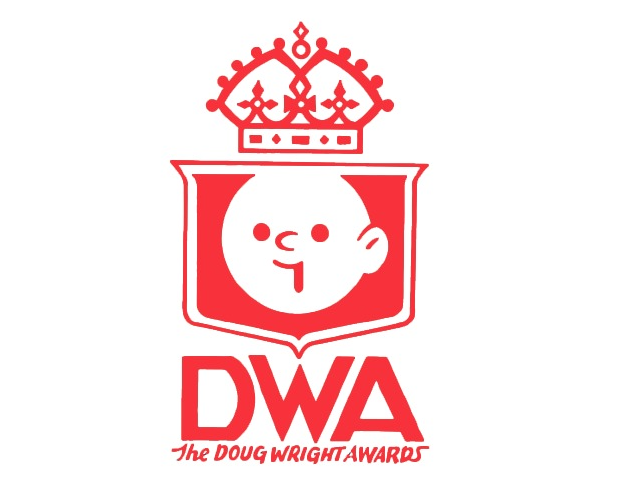 The Wright Awards are a non-profit organization who have been instrumental in raising the profile of comics art and graphic novels in Canada. They helped bestow early prominence on young artists like Bryan Lee O’Malley, Kate Beaton, Jillian Tamaki, and Michael DeForge, among many others, and have honoured the work of the cartoonists who worked in the mostly-forgotten history of Canadian comics. Every year they put on an entertaining, classy show that recognizes and promotes the work of the very best our artform has to offer. The Kickstarter ends May 8 and the minimum ask is $1.00. There are some nice pieces of art and other bonuses being offered as incentives for higher commitments. Check it out! Our host will be Kids in the Hall alum and Hannibal actor Scott Thompson, and we will be honouring the surviving artists of “The Canadian Whites” by inducting them into the “Giants of the North, the Canadian Cartooning Hall of Fame.” The Whites were black-and-white comics produced between 1941 and 1946 that contained a host of original (and iconic) Canadian characters such as Johnny Canuck, Canada Jack and Nelvana of the Northern Lights. These characters were created by the likes of Murray Karn, Adrian Dingle, Gerry Lazare, Leo Bachle and Jack Tremblay. The event will also serve as the official launch of a new collection of the complete Nelvana of the Northern Lights (by Adrian Dingle) being published by CGA Comics.